Talented multitasker. Digital professional. College degree holder. Worked as the Associate Product Manager at attn:, managed development of ATTN: products, including website, social media channels, and video content. Coordinated feature requests and requirements across multiple teams, created roadmaps for product releases, and presented strategic plans to internal and external stakeholders. Previously was Social Media Manager, where I ran social media accounts for ATTN:, handled production of content and community management for a Facebook audience of over one million fans, a Twitter audience over 55,000 followers strong, and a Tumblr audience of over 95,000 followers. Provided operational, technical, and editorial support to the first and only art school in the National Collegiate Athletic Association (NCAA). Played a pivotal role in the marketing and outreach of the athletic department by assisting in the redesign of the program’s website and all social media outlets (Facebook, Twitter, Instagram), resulting in a 300% increase in digital presence over a span of three years. Utilized Adobe Creative Suite to implement marketing campaigns, managed a team of student interns, and also handled day-of-game event management and operations such as public address and fan experience. Directed community outreach for Sam Kang’s campaign for California State Assembly in CA’s 15th District, encompassing much of the East Bay. Developed social media strategy and also staffed Sam at events while using voter outreach software (NGPVAN) to expand the reach of the campaign. Duties varied everywhere from customer service, folding towels and checking out equipment, to conflict resolution, first responder first aid, and event management. I spent the summer as an intern in the digital media department at CSN Washington, helping transition the website from one backend provider to another. Also edited video content and web content and provided on-site assistance for pre- and post-game productions. 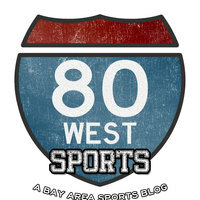 As an intern in the web department at CSN Bay Area, I promoted Comcast SportsNet programming through social media outlets as well as through press releases. Worked extensively on Out: The Glenn Burke Story, performing research and assembling the press kit. Worked as a student assistant and then a feature writer in the athletic department, providing social media coverage and website maintenance during my undergrad before writing regular features chronicling the construction of the new Memorial Stadium and the associated stories. I interned with Director and Deputy Director of Royalties at AARC, a non-profit US collective protecting the hometaping and rental rights in the United States and abroad. Assisted in recruiting new artists to register with AARC and confirming contact and payment information with existing clients. Graduated in May 2011, with a degree in Political Science. I found myself most interested in American political history and contemporary civic engagement. Alumnus of the program that helps place Cal students in opportunities in Washington, DC while also providing a home in the UC Center. I went in Summer 2010, when I interned at CSN Washington and AARC. After joining the Berkeley chapter during my first semester at Cal, I was an active brother in the house, holding multiple positions, including Alumni Relations Chair and Philanthropy Chair, while also being elected Annotator for three consecutive terms.